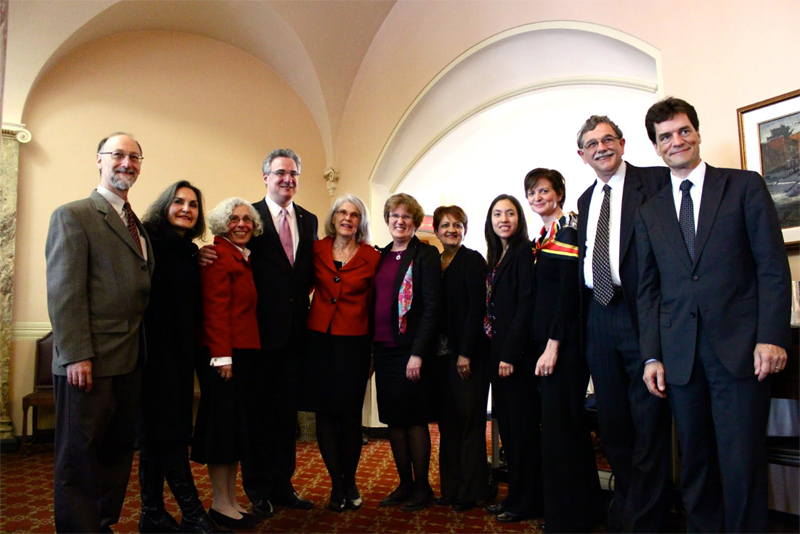 17 December 2012 (CBNS) — In November, the 4th annual Interfaith National Breakfast was held in the Parliamentary Restaurant on Parliament Hill in Ottawa. 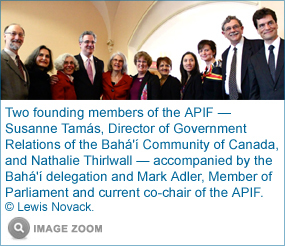 The breakfast was sponsored by the All-Party Interfaith Friendship group (APIF), and co-chaired by Mark Adler, Member of Parliament for York Centre, and Nathalie Thirlwall, a member of the Bahá'í community of Ottawa. The aim of the APIF is to create a space to explore how the religious heritage of the people of Canada can inform public life. One hundred people attended — Members of Parliament, Senators, members of the diplomatic community, faith leaders and representatives. Each table had a diverse mix of politicians, diplomats and representatives from the Baha’i, Buddhist, Christian, Falun Gong, Jain, Jewish, Muslim, and Sikh religions. Mark Adler, in his closing remarks, inspired by his own religious background, commented that two of the most meaningful things people can do are “to give our love and to give our labour.” The breakfast was followed by discussion, which provided an opportunity for the speakers to address the issues raised and interact with the participants. Numerous questions and comments showed a desire for further interfaith dialogue.